Google Instant's launch has caused a lot of buzz around the industry. It is undoubtedly the largest update it has undergone since its initial launch. Although it hasn't been rolled out in Australia, it's a good idea to prepare ourselves with what is on the horizon. Typing quickly results in an almost seizure inducing flashing of search results, with the page’s content flashing by so quickly that our eyes began to hurt after some time (headache will vary depending on your computer and connection speed). Luckily Google gives people the ability to switch Google Instant off, in which case the interface reverts to the classic view. Once the headache subsided, we remembered seeing ads also flashing past at an equally alarming rate, being only displayed for a few milliseconds between suggestion changes. This made us wonder how it will affect people with AdWords campaign which are paying by the number of impressions their ad gets? And equally, how will it impact the Click Through Rate (CTR) of those on pay-per-click? Although Google Instant won't change the way ads are served, ads and search results will now be shown for a new "predicted query." For example, if someone types "flow" into Google, an algorithm predicts that the user is searching for "flowers" (the predicted query) and therefore displays search listings and ads for flowers. Those results will continue to show unless the next letters that the user types lead to a different predicted query. We recommend monitoring your ads' performance the same way you usually do. Google Instant might increase or decrease your overall impression levels. However, Google Instant can improve the quality of your clicks since it helps people search using terms that more directly connect them with the answers they need. Therefore, your overall campaign performance could improve. Google's post is trying to assure people that they could see their campaign's performance improving, but is also acknowledging the fact that it could negatively impact others and warns to monitor your campaigns closely. It also seems to us that the impression count will become more inaccurate, especially with the new three second rule. Imagine the number of additional unintentional impressions Google counts because someone was interrupted by a phone call whilst in the middle of typing a search query, dropped connection, and many others. As so many people rely on Google's statistical search data, this is a major issue that Google hopefully will be able to address quickly. There's a lot of maybes and speculation in their statement which is fair enough considering the novelty of this update, and to their credit Google has put a lot of thought into their product's release and mechanisms to reduce unwanted side-effects. Having said that, there's no wonder why many people in the search and internet marketing industry are anxious, worried and losing sleep over these current developments. There are many people making and publishing articles/blogs which are based on speculations, which can be very scary for those that don't have a sound comprehension of SEO and PPC. Some say this marks the end of SEO, others suggest that SEO has become more important than ever. Only time will tell which speculations hold water. We'll keep on top of new developments as they emerge and will report more on this subject. In the meantime, please share your views and experience with us using the comment box below. Google is constantly working on improving its core product, the search engine. Many enhancements have been tested and most that make it past the testing phase and are actually implemented on its website go unnoticed by many. So it’s no surprise that Google’s recent enhancement, dubbed Google Instant, is receiving a lot of attention as it will have a significant impact on its users' experience. Launched on Sep. 8 2010, Google Instant will dynamically display search results as you type and concurrently predict what you are likely to search for before you’ve finished typing. Google is predicting that this change will help people get to the right content faster. Based on usage information Google has been collecting, its prediction that Google Instant will save the typical user anywhere between 2-5 seconds per search is very plausible. 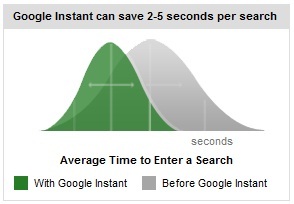 Google Instant can trigger a fundamental shift in the way people approach search. 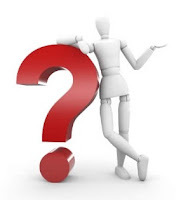 Since the inception of search engines, people are used to viewing search results as an outcome of a query. With dynamic results and predictive searching, people may need to change their perception. Seeing results as you type helps formulate a better search phrase by providing instant feedback which allows you to adapt on the fly until the results match what you are looking for. Google has been quick to reassure people that this will not slow down their internet connection considerably, stating that the additional load it places on the connection is far less than streaming video and online gaming. Although technically more search results pages (SERPs) are served, Google has minimised the actual amount of data received and transmitted by only sending parts of the page that change. Whilst many will welcome this innovative feature, not everyone will have access to it, at least not for now. Google Instant is being rolled out progressively in the following countries: US, UK, France, Germany, Italy, Spain and Russia with other countries to follow “over the next several months”. Users will also have the ability to opt out of this new interface, and use Google exactly in the same manner they have been used for years. Check out Google’s official video introducing Google Instant below. For more information visit Google.